Are you a visual SBIer? 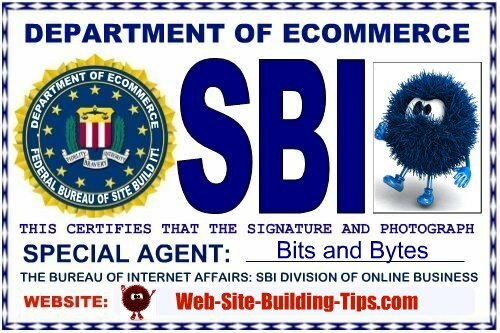 Since I'm sure you want your identification displaying your newly appointed status as "Special Agent" of the Department of eCommerce: SBI Division of Internet Affairs and eBusiness Solutions to be just perfect, here are a few samples of some completed SBI website customizable id badges. 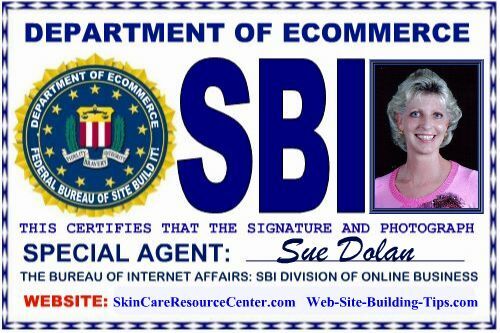 OR maybe you just need a little jump-start to help get those creative juices flowing as you contemplate how you are going to customize your own SBI "Special Agent" identification badge that truly expresses your SBI self. Bits and Bytes, the two rambunctious fur balls that I've contracted with to publish the Website Tips for the new site, would absolutely revolt if I ever considered for even a nanosecond leaving them behind! As pesky as they can be sometimes, I find that since they both happen proven to be quite highly skilled in site building and possess rare talents including that of virtual genius I suppose I'll have let them tag along. . .
"Don't Do It!" 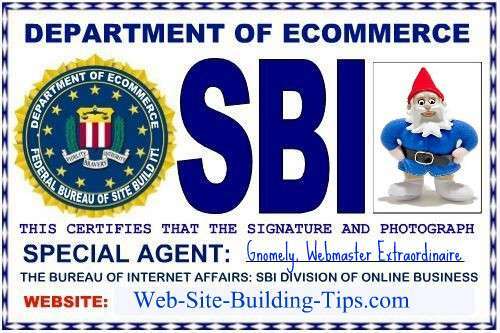 (or you'll be sorry) website building journal would let me leave him behind either! Once you are happy with your result. 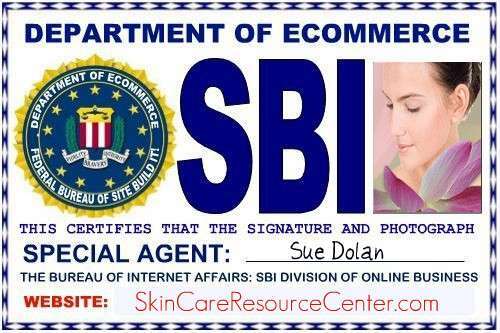 . .
Just print, then have your badge laminated.